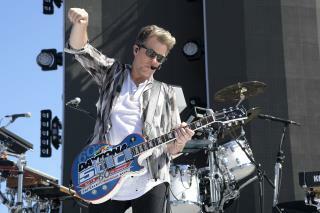 (Newser) – Country group Rascal Flatts abruptly ended an Indiana concert because of what police call a "security issue" that remains under investigation. Concertgoers say the band didn't return for an expected encore Thursday night at Ruoff Home Mortgage Music Center in suburban Indianapolis, after which a public-address announcement said the show was over and security guards told people to leave, per the AP. One fan tells the Indianapolis Star he saw a disruption in the general-admission area closest to the outdoor amphitheater's stage. Probably another anti-Trump liberal wanting to shoot Conservatives. Now if we can just get all country music "acts" to stop at the beginning of their shows we'll be all set! So some cut-rate narcissistic musical entertainer doesn't mind shorting ticket purchasers and punching out early? Wow who saw that coming?